Our classic hoop enjoys a style upgrade with the addition of a sleek, beautifully balanced, detachable t-bar. 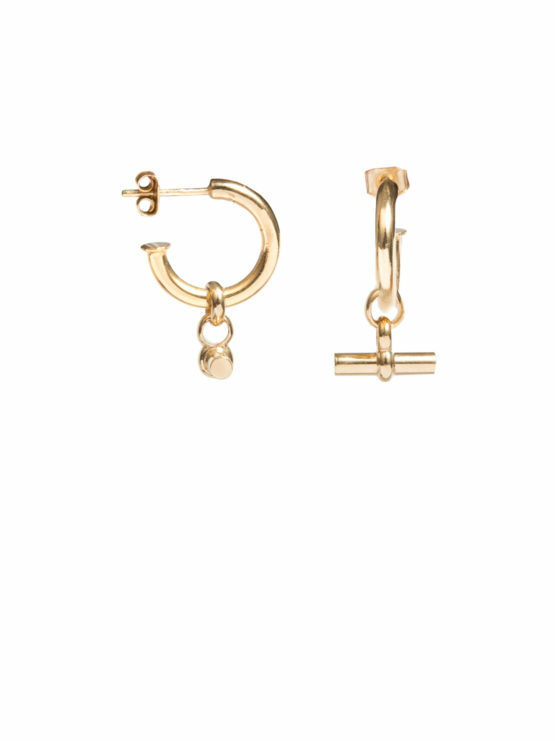 Giving you two styles in one, this luxurious earring is understandably the fashionista’s choice. The hoop is 1.5cm in drop and the t-bar 1cm wide.